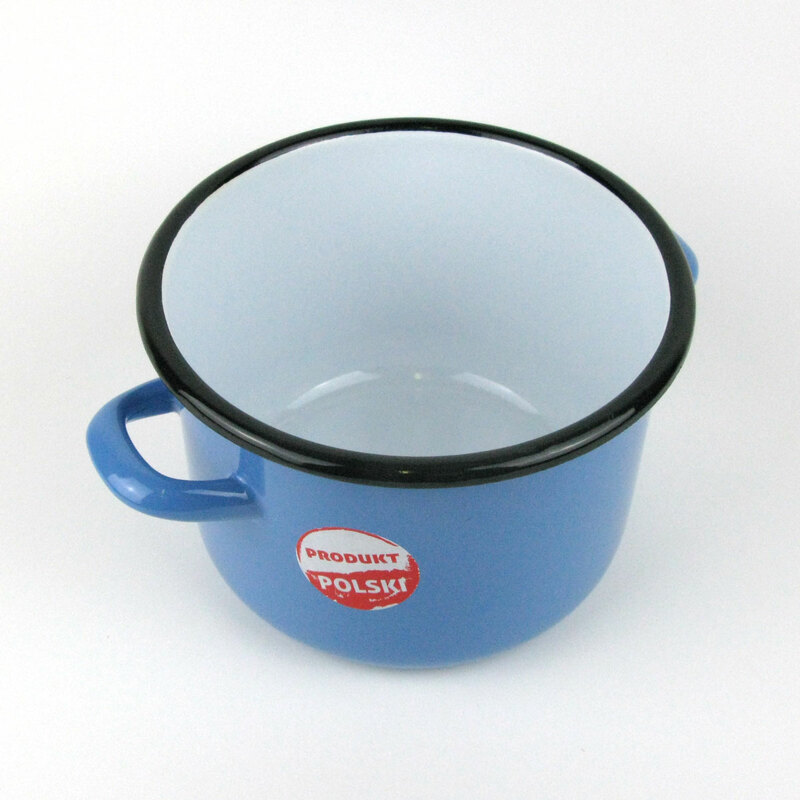 Medium-sized cornflower blue enamel saucepan with handles either side. 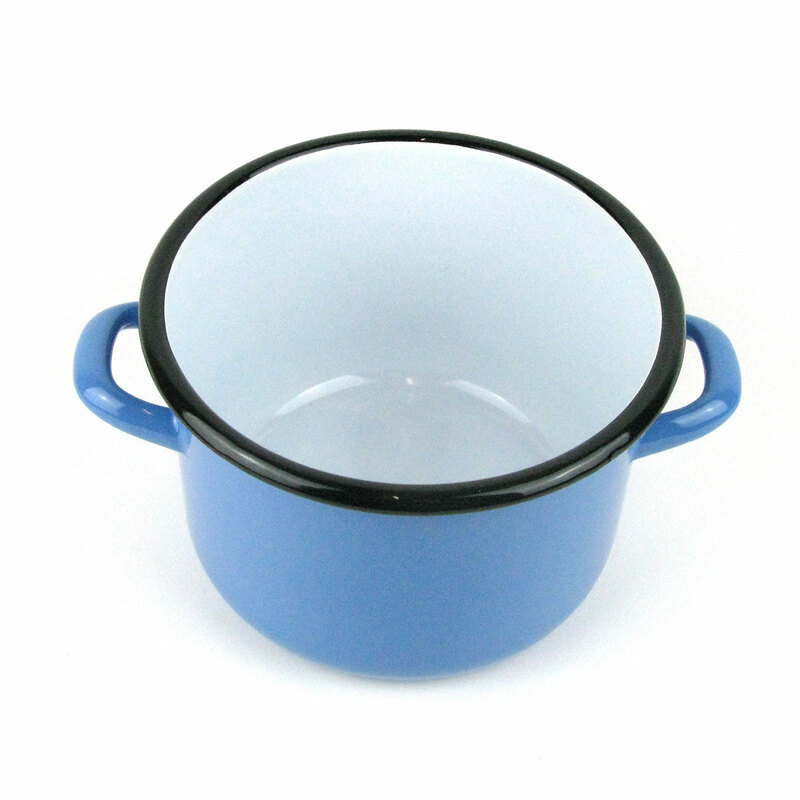 An enamel metal saucepan in a lovely cornflower blue with white inside and a black rim. Brand new! 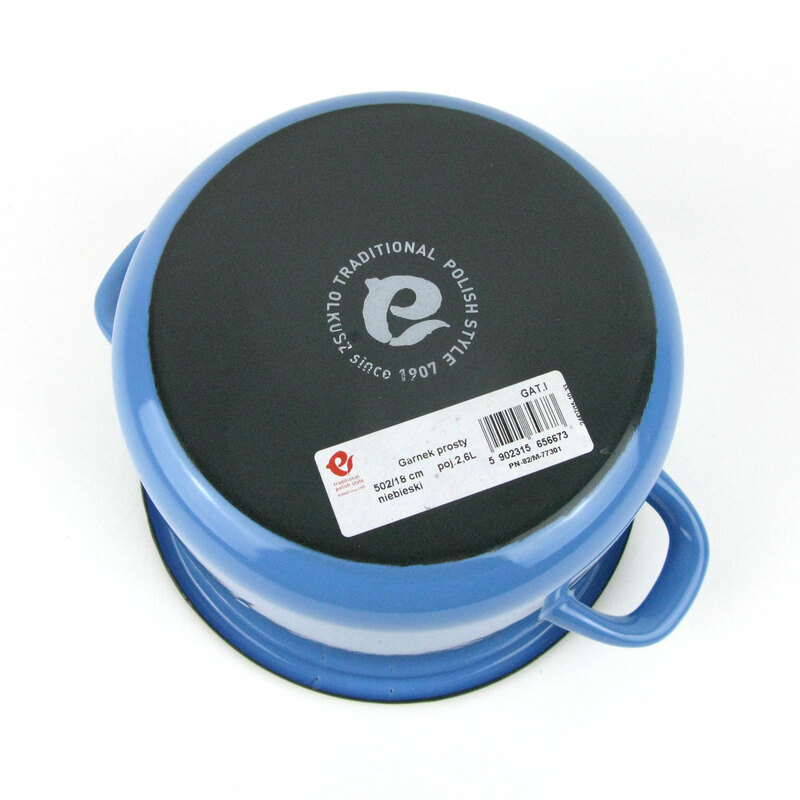 Perfect for camping or a retro kitchen. Please note: this does not come with a lid.